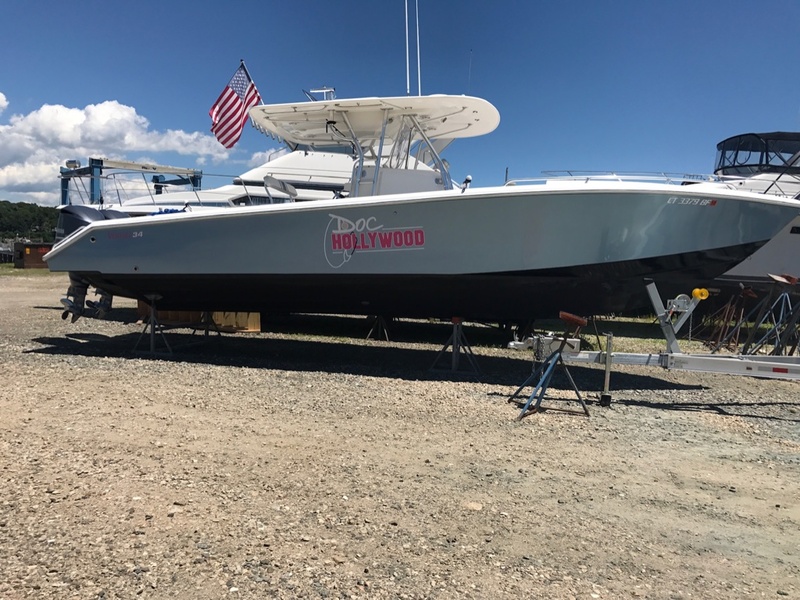 Nicely equipped 2004 Venture 34 Cuddy which was repowered in 2016 with preferred Yahama F300's with under 200 hours on them. 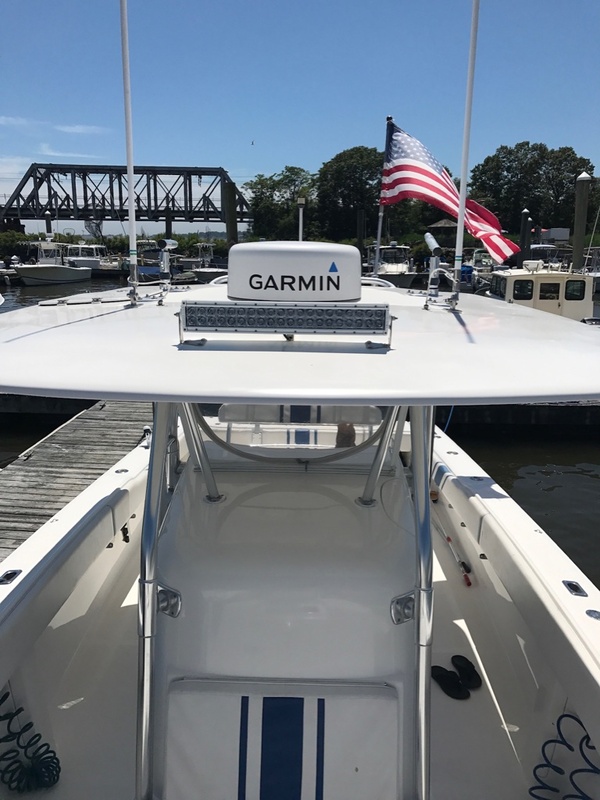 Full Garmin electronics package with sounder and radar. 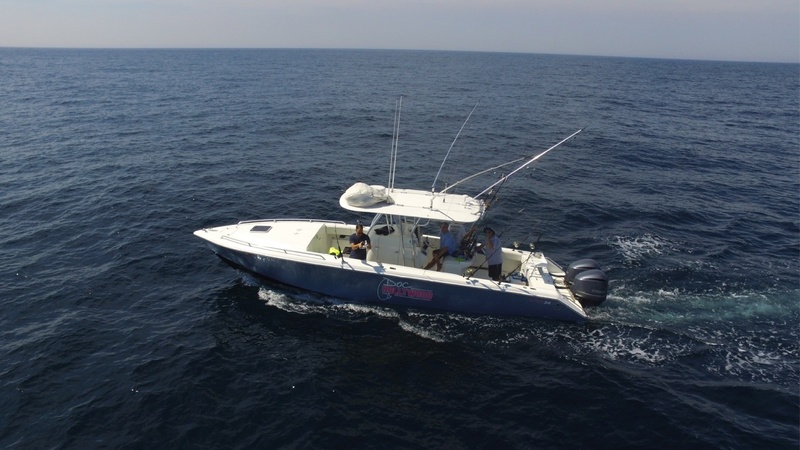 Autopilot, Furuno rd 30 VHF, Fusion Stereo and much more. 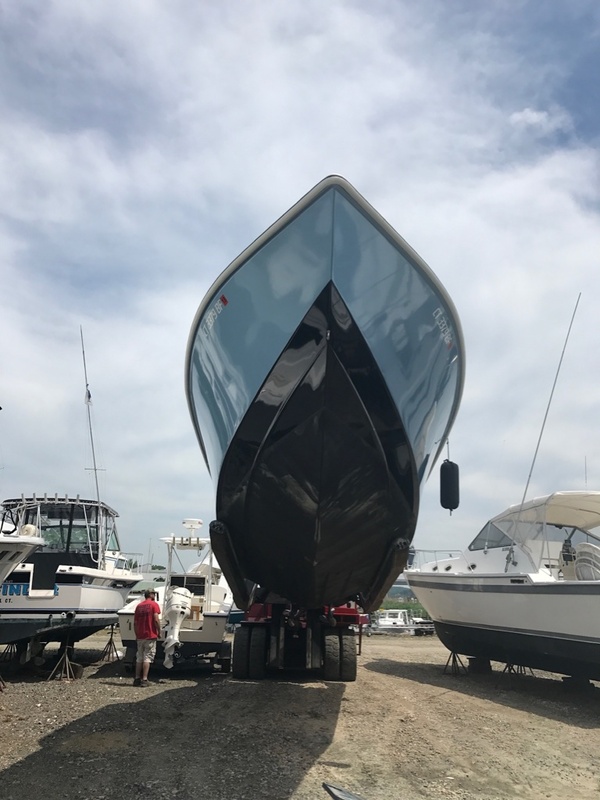 Hull is wrapped ice blue metallic and the bottom is painted black. 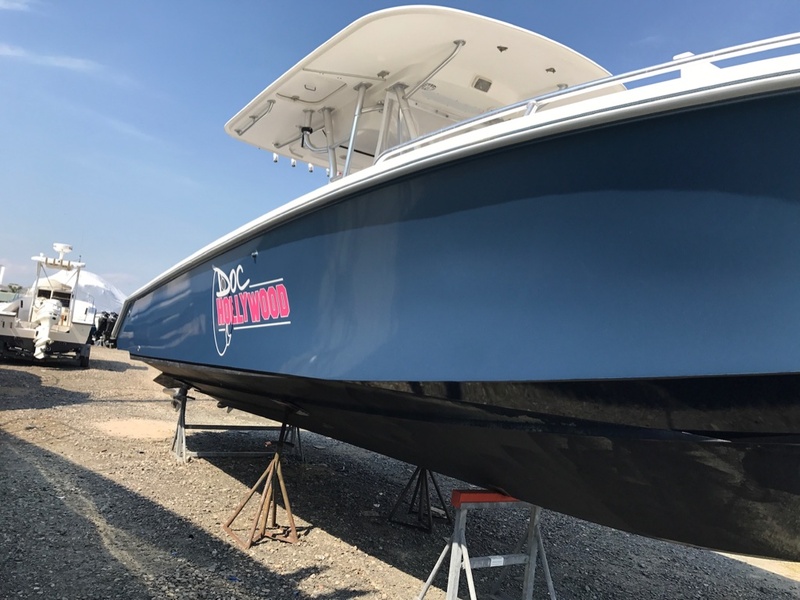 Doc Hollywood is a big center console can fulfill your fishing and family needs. With the versatility of a cabin, the cuddy was designed to maximize interior space and features teak accents, rope lighting, and pull out cushions on a 7 foot bunk. 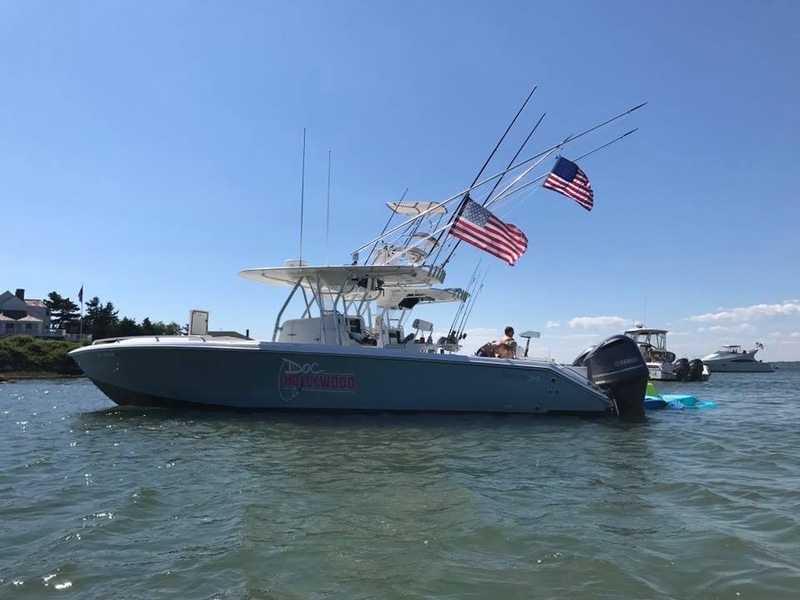 Standard fishing amenities include a huge 55 gallon transom live-well, two large insulated fish-boxes, bait prep center with fresh and saltwater wash-downs, rear bench seat, a transom door with gate. There is also a huge fish-box with macerator. The Ventures walk-in console includes an electric head, standup shower and sink. The T-top is fabricated out of high-quality anodized aluminum. The top itself is molded fiberglass (not (2) fiberglass panels sandwiched together and then held together with a riveted belly band.) Feature to the T-Top include:. • (1) Black Lexan Electronics panel with locks. This panel does not require removal to operate the electronics; it is engineered to slide into its own dedicated slot while the electronics are in use. • Built in forward console seat with insulated drink cooler below. 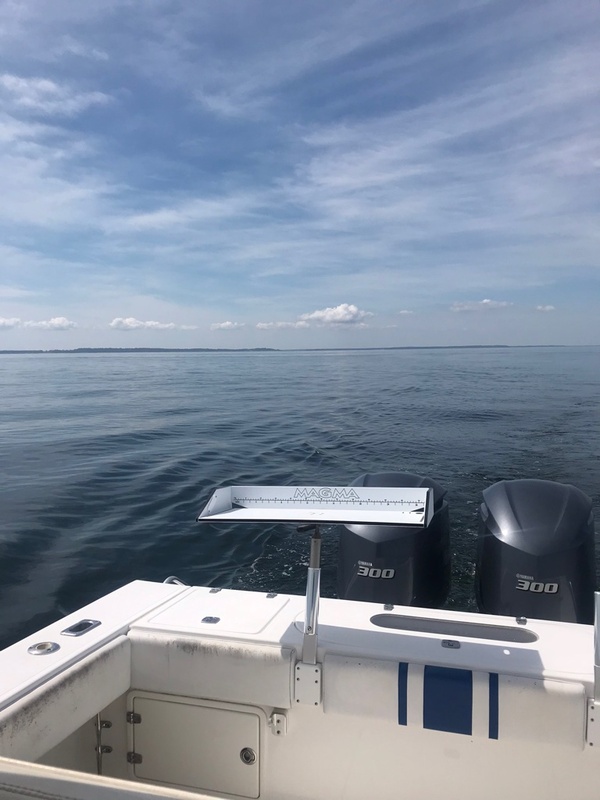 • Gore-Tex Zipper tracks and C-Channel on each side of the console for the additional Strataglass Spray Curtains that extend the enclosure out to the gunnel and then attach to the ring deck and liner with clips and zippers. 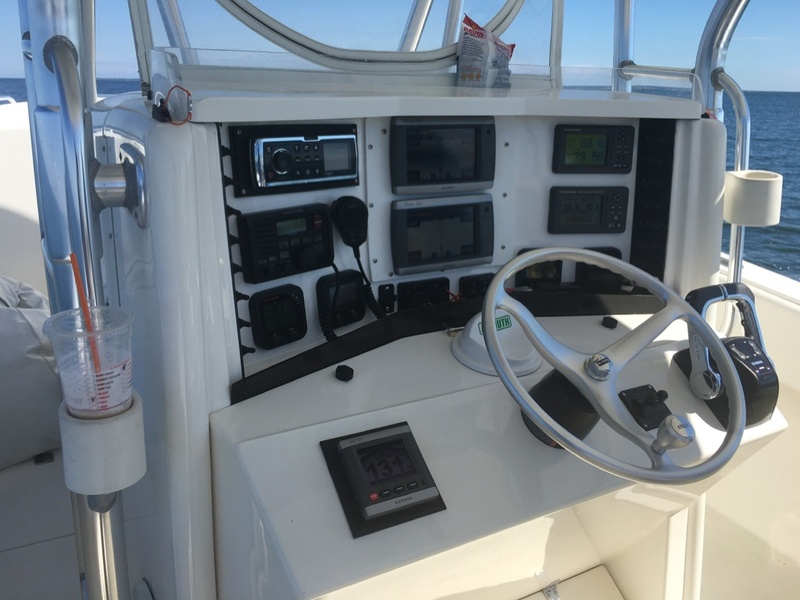 Inside the Console (which is accessed on the Port side) there 6'0" headroom with a freshwater wash basin, porcelain electric head, concealed toilet paper dispenser, storage drawers as well as access to vessel's wiring, terminal blocks, battery switches and batteries. (Please refer to wiring pictures to see the attention to detail paid when she was wired). • U-shaped grab handle for passengers standing behind the Leaning Post. 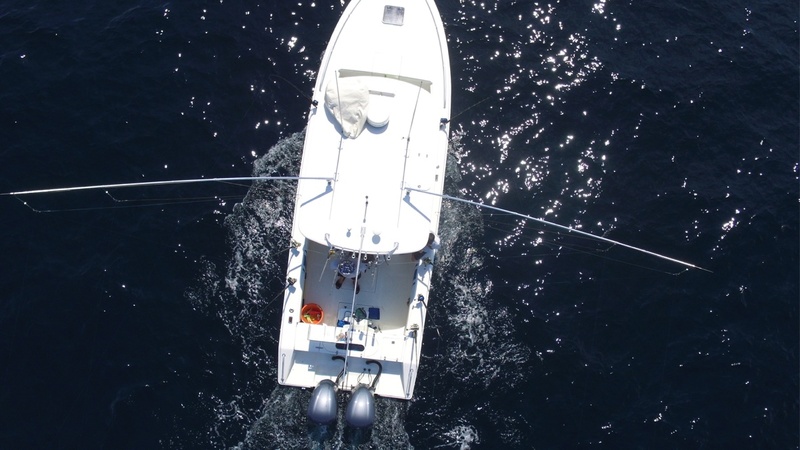 This grab handle is one piece and provides a safe, ergonomic brace point for the worst of sea conditions. • Port and Starboard grab handles; these are just forward of the large U-shaped grab handle. • (2) Custom cushions; these are not the standard cushions and were engineered so the owner could comfortably utilize the space for overnights.